“Mr. Rakesh Jhunjhunwala, the name that needs no introduction. The legendary investor who is known as the Warren Buffet of India". Let us check out the success story of Rakesh Jhunjhunwala and his journey from Rs. 5,000 to Rs. 8,000 Crore. 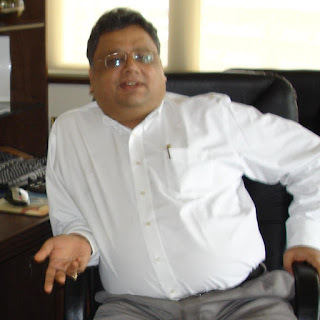 Mr. Rakesh Jhunjhunwala was born on 5th July 1960. His father was an Income tax officer. His father was interested in stocks and used to discuss the stock market with his friends. Mr. Rakesh as a child would listen to them. Once he asked his father why the price fluctuate. He told him to check the news, it makes the price to fluctuates. This was his first lesson of stocks market. He got fascinated by stocks and found it interesting. He expressed his wish to get into the stock market to his father. He told him to do whatever he wanted in life but at least get professionally qualified. Rakesh then took up chartered accountancy and completed his CA in 1985. After completing the CA he told his father that he wanted to go in the stock market. His father reacted by telling not to ask him or any of his friends for money. Earn and trade with your money. He started his career in 1985 when the BSE Sensex was at 150. He made his first big profit of Rs. 0.5 million in 1986 when he sold 5,000 shares of Tata Tea at a price of Rs. 143 which he had purchased for Rs. 43 a share just 3 months prior. Between 1986 and 1989 he earned Rs 20–2.5 million. His first major successful bet was iron mining company Sesa Goa (now Sesa Sterlite). 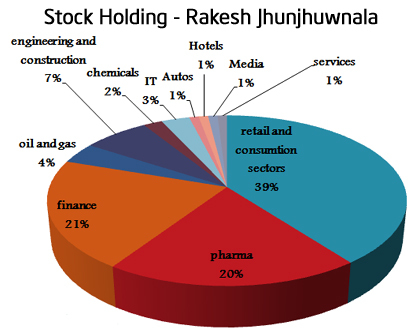 He bought 4,00,000 shares of Sesa Goa in forward trading, worth Rs 10 million and sold about 2-250,000 shares at Rs. 60–65 and another 1,00,000 at Rs. 150–175. The price rose to Rs. 2,200 and he sold some shares. Mr. Jhunjhunwala bought 6 crore shares of Titan in 2002-03 at an average price of about Rs. 3. The stock is currently trading at 390 Rs level and his investment value is now Rs. 2,100 crore, which made around 35 lac per hour for him. 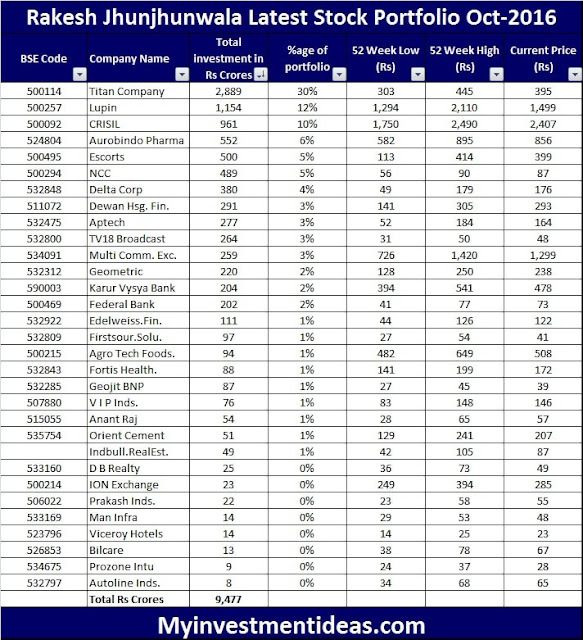 In 2006 he bought Lupin about 150 Rs which is now trading at 1100 levels. 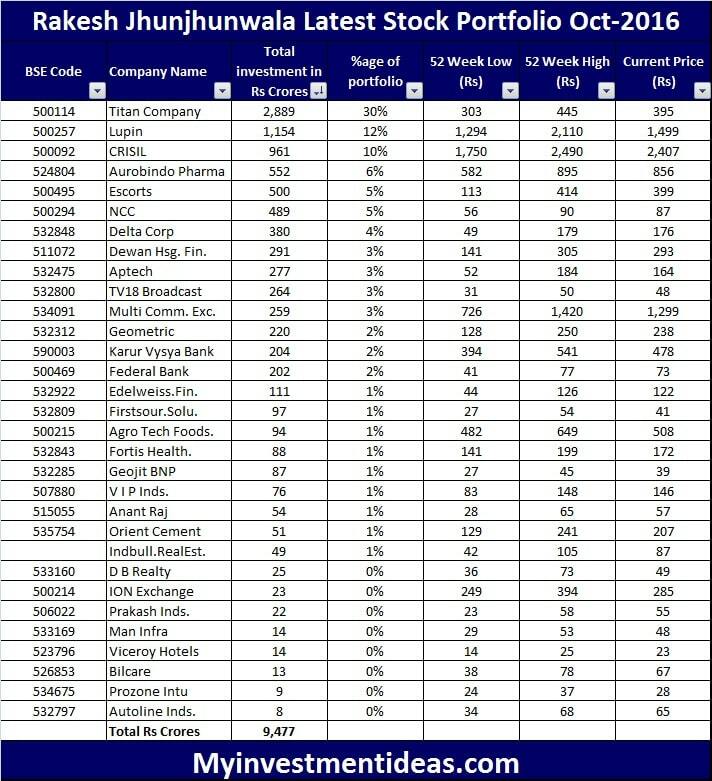 He bought crisil about 200-300 levels which is now at 1,800. Likewise, there are so many stocks in his portfolio that made huge money for him. Mr. Rakesh Jhunjhunwala believes in the power of mistakes. He says it’s the mistakes that made him learn and become a better investor. he says. “If you do not believe the markets are supreme, you will never admit that it was your mistake. If you do not admit that it is your mistake, you will never learn. Mr. Jhunjhunwala says what he has learnt in life is to try and earn money in trading and to invest it in stocks. Mr. Jhunjhunwala says he is bullish on the country growth since he entered the stock market. He insists the Indian economy will grow by 9-10 percent, though that may need a transition of two to three years.